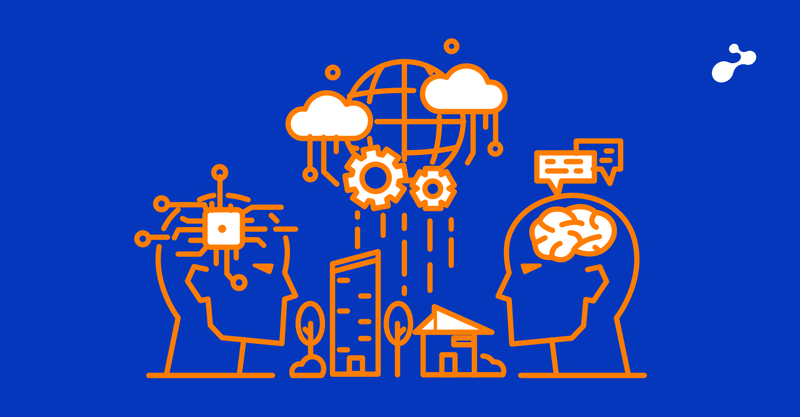 Firstly, will explain how to create a simple application then will further continue to describe how to implement unit testing within the same application. 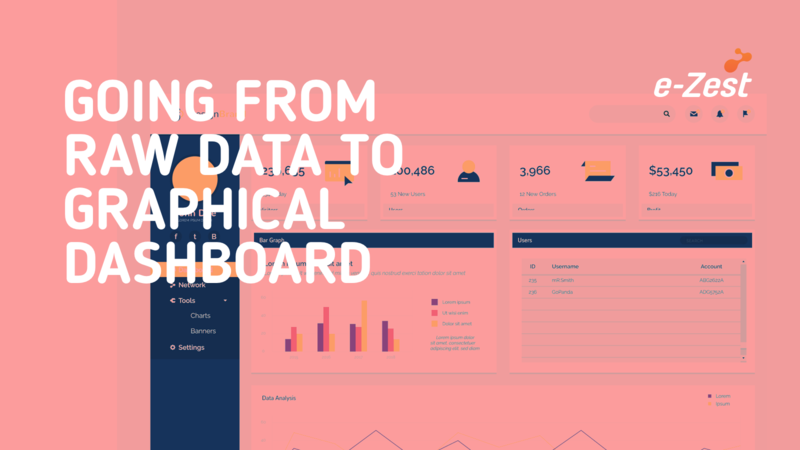 This blog should definitely help you get started on Angularjs 2 RC1. Inside the project folder create a folder named wwwroot and select that folder to create new project. 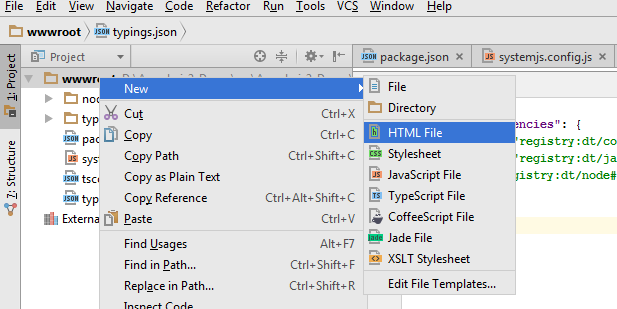 Right click wwwroot folder and add new json file named package.json. Copy paste below code into package.json file. Copy paste below code in systemjs.config.js file. 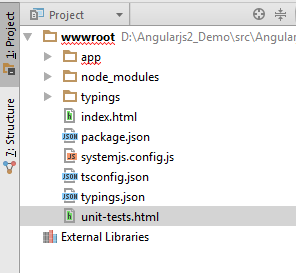 Right click wwwroot folder and add new json file named as tsconfig.json. Replace existing code with below code in tsconfig.json file. 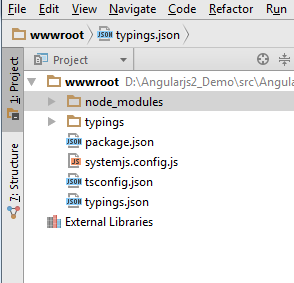 Right click wwwroot folder and add new json typings.json. Copy paste below code in typings.json file. Now open the Terminal and run command npm install. 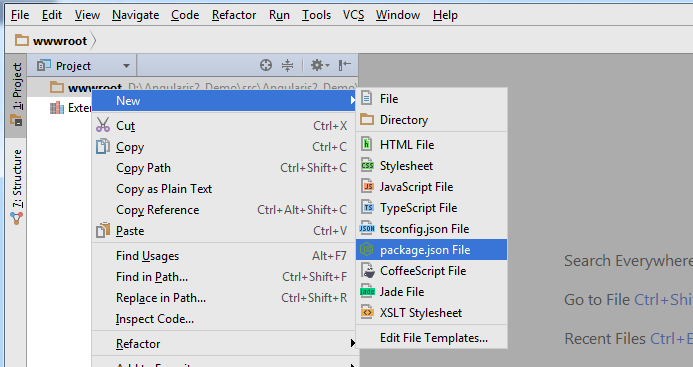 This command will install all the packages mentioned in package.json file. It will create a folder named node_modules and typings which will have all the packages downloaded inside it. Right click wwwroot folder and add new html file named index.html. Copy paste below code in index.html file. 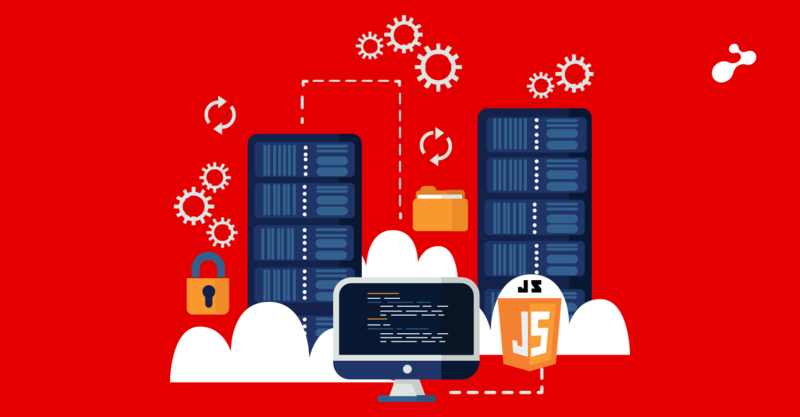 Note: In this file we have mentioned the path for the .js files from node_module folder. If you are using gulpfile then the path will come from libs folder. Right click wwwroot folder and add new directory/folder named as app. 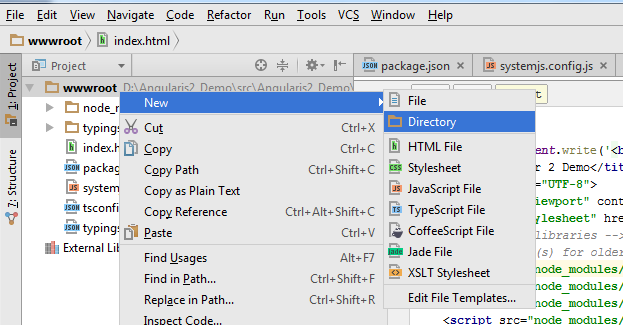 Right click app folder and add typescript file named as main.ts. 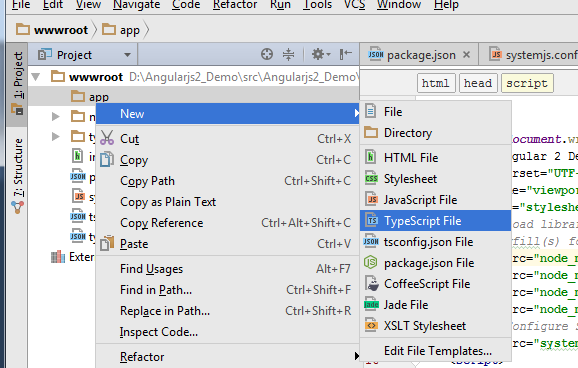 Right click app folder and add typescript file named as app.component.ts. Copy paste below code in app.component.ts file. Now open the Terminal and run command npm start. 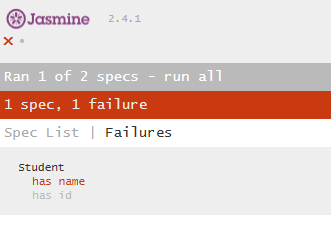 Now we will implement Unit testing in same application using jasmine core. 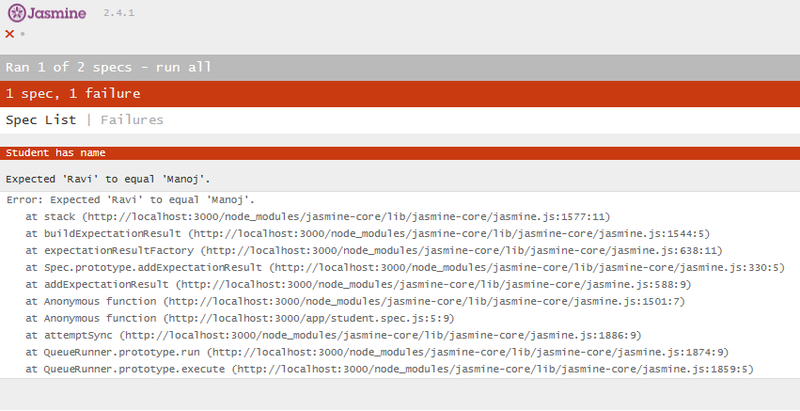 npm install jasmine-core --save-dev --save-exact. 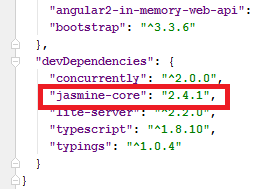 This will create a jasmine-core folder inside the node_module folder. This will also update package.json file adding jasmine core to it. Right click wwwroot folder and add new html file named unit-tests.html. Note: This file should be create as a sibling file where index.html file is available. Copy paste the below code in unit-tests.html file. Right click app folder and add new typescript file named student.ts. Right click app folder and add new typescript file named mock-students.ts. Copy paste below code in mock-students.ts file. Right click app folder and add new typescript file named student.spec.ts. Notice the ".spec" suffix in the test file's filename, appended to the name of the file holding the application part we're testing. 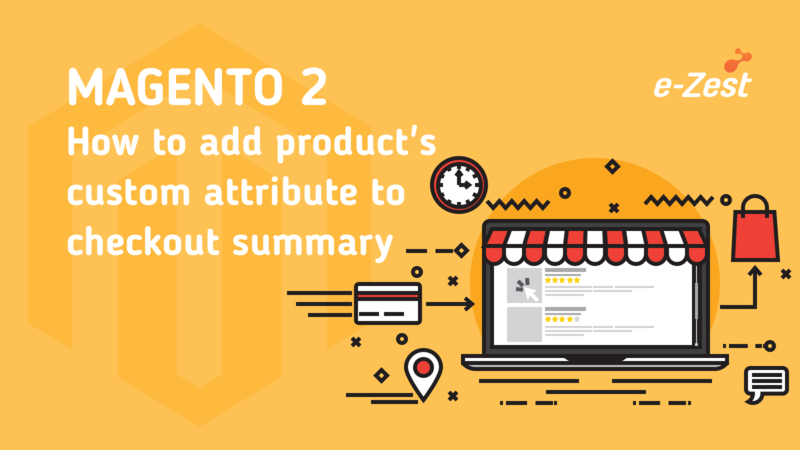 By convention, our test always begin with a describe that identifies the application part under test. 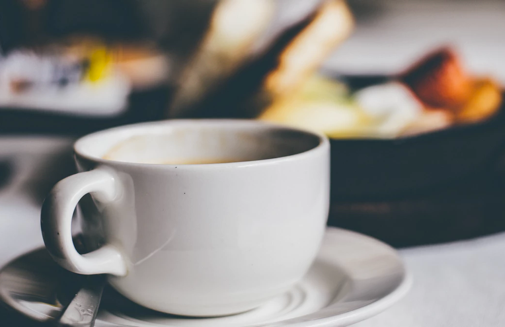 Modify the unit-tests.html file inside body tags copy paste below code. Modify the package.json file look for start tag and add below code to it. Now update the test to get the result failure as shown below, change the expected result to different from actual result. Click on spec list and you can see the list of all test either passed or failed as shown below. Note: on clicking the test list we can run the individual test again separately. Would always like to address questions from the readers. Kindly post them in the comments section below.